Available in trade paperback and ebook June 11th! 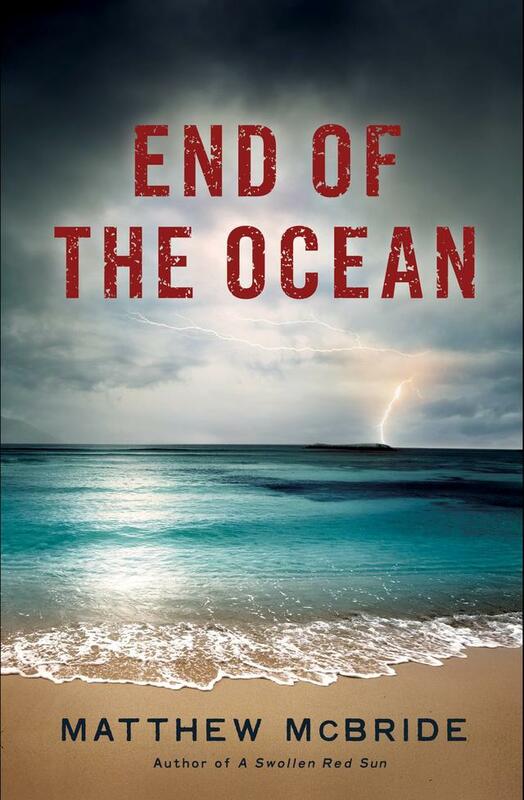 "In END OF THE OCEAN, Matt McBrides strikes an incredible balance between his signature dark humor and pulp sensibility while telling an incredibly thoughtful and intimate story. This isn't just a step up from his previous books—it's an evolution." When newly divorced Sage arrives in Bali, his only plan is to drink on the beach until his money runs out and then return home to start over. So he’s caught by surprise when he falls in love with the country and its people, particularly the attractive and considerate Ratri. Soon Sage can no longer see himself living anywhere else, even as his funds dwindle and his visa’s expiration date nears. Increasingly desperate to stay with Ratri, Sage finds himself being recruited by a drug-smuggling ring―in a country where drug trafficking is punishable by death. The promised pay-out would be enough to set Sage and Ratri up for life, but only if Sage isn’t caught. Will Sage go home and risk the life he envisions with Ratri, or risk everything to stay and make that life possible?